After witnessing some rather “heated” discussions on a Facebook group about what dragons are “really” like it got me thinking and wondering about the nature of the dragons that I “see” or sense. Are they thought-forms, like a Tulpa, or are they some ancient and “real” being …or something else entirely different? I can’t honestly say what “type” of dragons I work with at this stage. Perhaps they are thought-forms or perhaps not …maybe I haven’t been on this path long enough to know the difference. 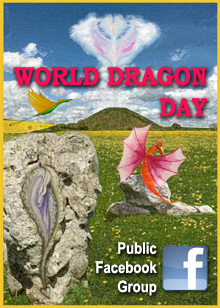 Although I have presented some ideas here about the nature of dragons, I’m still undecided about what or who dragons are. Sometimes I “see” a dragon in my mind’s eye, others I sense purely as a presence or an energy with no visual identity for me to connect with …I just know “something” is there when I call them. My dealings with them are always respectful and have yielded some quite wonderful results for me. Sometimes I get the feeling that communication with dragons is more like trying to tap into a stream of energy or consciousness (something like the Clear Fountain in Atlantean Secrets) rather than with actual “beings”. I came across the following article on someone’s unfinished website which discusses this same topic. It’s not a “scholarly” work by any means but I found it rather interesting and it does raise some valid points with which I tend to agree. I’ve been giving a lot of thought to the various perspectives on Dragons and Dragon Magick that I’ve encountered online and through my own experiences. Obviously there are a lot of people out there working quite effectively with VERY different versions of what they are calling dragons. There are some sources which are extremely “light” and popular that do not AT ALL ring true for me. There are also other sources, which while more “serious”, also do not completely resonate. So where does that leave things? With all things being true, as I tend to believe in my Chaos-ian way, how is that one group of people can believe in little rainbow fairy dragons that want to frolic and play and help humans unconditionally, and others see dragons as very imposing, ancient, stern and temperamental beings that can only be approached using High Ceremonial Magick and will only deign to aid the solemn practitioner? Who is “right” and who is “wrong”? Which dragon is the “real” dragon? I think the issue boils down to the label of dragon, and the almost innumerable permutations that can be creatively applied to various experiences. 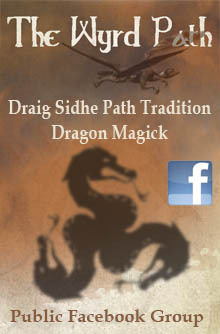 Some people are creating individual versions of dragons via the creation of thought forms that meet their idea of what these beings are – including their ability to tap into ancient knowledge, spiritual wisdom and an aid to the development of the practitioner (a tradition with a long and respected history in Ceremonial Magick, Shamanism, and still regularly employed by Tibetan Buddhists). Some may create tiny crystal dragons brimming with joy, and others may create darker imposing forces of antediluvian heritages. My personal opinion is that at least 3 of the 4 Elemental Dragons as given in Conway’s DWD system have now been effectively created in this manner as hundreds or thousands of people have been invoking them for many years now; the fourth, Fafnir, may have also been re-created in this fashion. 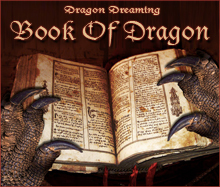 Some people are working with traditional or “real” beings – the beings that were the original dragons of olde. 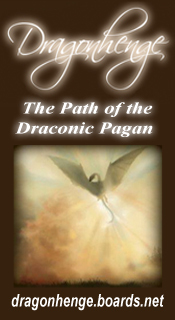 I have no doubt that these Draconic beings existed long ago, and if they existed once, then they still exist somewhere, and at least a portion of Draconic practitioners must have gained contact with them. Some of these people are working with pre-existing thought-forms that exist on the astral ( i.e. what Chaos magicians do when they use pop culture figures in their works). These dragons would likely look and behave much like the dragons from fairy-tales, works of fiction by such authors as as Tolkien and McCaffrey, from popular role-playing games such as D&D, modern movies, etc. Some of these people are working with Inner Plane beings that decide to let themselves be known in the form of a “dragon” because it’s the most effective and efficient way to work with that particular person, etc. Some may even be Extraterrestrials from other galaxies – enough people seem to have had experiences with Draconic beings of this nature to make it foolish to discount these beings outright while rationalizing all the others. 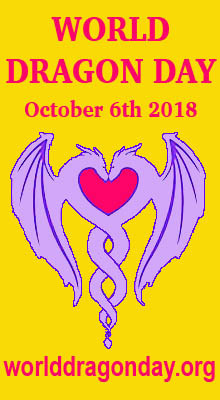 I think some practitioners are very aware of the exact process that they are going through in contacting a dragon, and I feel many people are not. That doesn’t lessen the importance or relevance of their experiences by any means. In the end it may very well not even matter. By their fruits you shall know them. I guess it’s just easier for me to be able to understand where the various schools of Dragon Magick are coming from by using this theory. Seeing things in this light, even the “lightest” traditions of Dragon Magick are vital and valid – although they may not be for me or you. 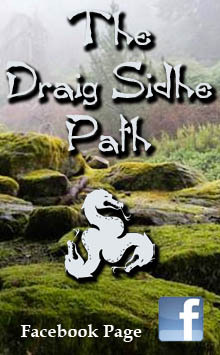 This entry was posted in My Personal Dragons, Personal Musings and tagged astral, dragon magick, dragons, extraterrestrials, inner plane beings, thought-forms, thoughtforms, tulpa. Dragons are the true form of Angels!